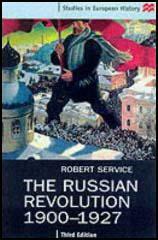 After the October Revolution the new Bolshevik government abolished private ownership of land and began distributing it among the peasants. Banks and large companies such as the Putilov Metal Works, were nationalized and workers control of factory production was introduced. During the Civil War the government decided to introduce what became known as War Communism. All companies were now nationalized and the government now decided what should be produced. The government also had the power to force men and women to work in certain industries. Soldiers were also sent into rural areas to requisition grain and vegetables. The peasants responded to this by cutting down the sown area. 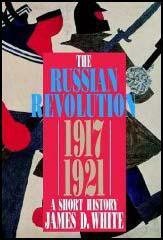 There were also peasant risings in 1920-1 in the Volga basin and Siberia. War Communism took away a lot of the freedoms that Russians had gained as a result of the October Revolution. Vladimir Lenin justified this policy by claiming that these measures were necessary in order to defeat the White Army. The policy created social distress and led to riots, strikes and demonstrations. Sally J. Taylor, the author of Stalin's Apologist: Walter Duranty (1990) has argued: "War Communism, as it was called, came to rely more and more upon repression and outright violence as the main methods of securing meat and grain from the peasants. Essentials like salt, kerosene, and matches were in short supply; important manufactured goods, such as boots and farming implements, were not forthcoming. With few rewards for their labor, the peasants showed little interest in growing more than what their immediate needs required. Now a ruinous drought in the grain-growing districts added to the misfortunes of the already depleted countryside, and the entire nation lay exhausted, in a state of virtual collapse." The Kronstadt Uprising reinforced the idea that the government was unpopular and in March, 1921, Vladimir Lenin announced details of his New Economic Policy (NEP). Farmers were now allowed to sell food on the open market and could now employ people to work for them. Those farmers who expanded the size of their farms became known as kulaks. The NEP also allowed some freedom of internal trade, permitted some private commerce and reestablished state banks. Factories employing less than twenty people were denationalized and could be claimed back by former owners. The NEP did improve the efficiency of food distribution and especially benefited the peasants. Lenin has thrown communism overboard. His signature appears in the official press of Moscow in August 9, abandoning State ownership, with the exception of a definite number of great industries of national importance - such as were controlled by the State in France, England and Germany during the war - and re-establishing payment by individuals for railroads, postal and other public services. War Communism, as it was called, came to rely more and more upon repression and outright violence as the main methods of securing meat and grain from the peasants. Essentials like salt, kerosene, and matches were in short supply; important manufactured goods, such as boots and farming implements, were not forthcoming. With few rewards for their labor, the peasants showed little interest in growing more than what their immediate needs required. Now a ruinous drought in the grain-growing districts added to the misfortunes of the already depleted countryside, and the entire nation lay exhausted, in a state of virtual collapse. The Soviets had little recourse other than to appeal for help from abroad, and Herbert Hoover's American Relief Association at once agreed to meet them in Riga to discuss the terms under which they would undertake to meet the disaster.